On the 9th (Mon), explore the world behind art at Auckland Art Gallery Toi o Tamaki, look for gifts at Pauanesia, and then take in panoramic vistas at Sky Tower. To see ratings, photos, and tourist information, use the Auckland driving holiday planner. Mumbai, India to Auckland is an approximately 20.5-hour flight. The time zone changes from India Standard Time to New Zealand Standard Time, which is usually a 6 hour difference. Traveling from Mumbai in December, expect nights in Auckland to be about the same, around 20°C, while days are colder, around 20°C. 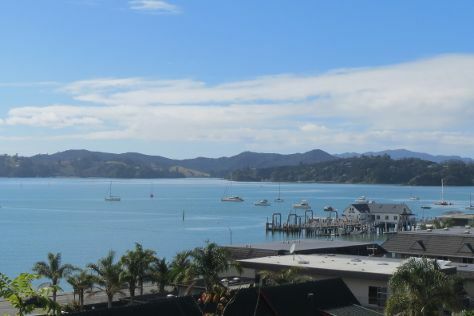 Finish your sightseeing early on the 9th (Mon) to allow enough time to drive to Paihia. Start off your visit on the 10th (Tue): identify plant and animal life at Paihia Harbour, admire the natural beauty at Waitangi Treaty Grounds, and then take a memorable tour with Tours. For traveler tips, maps, more things to do, and other tourist information, go to the Paihia day trip website . Traveling by car from Auckland to Paihia takes 3 hours. Alternatively, you can do a combination of bus and flight; or take a bus. Cap off your sightseeing on the 10th (Tue) early enough to travel to Taupo. Start off your visit on the 11th (Wed): stroll through Huka Prawn Park, admire the sheer force of Huka Falls tracks, then look for gifts at Huka Honey Hive, and finally push the limits with an extreme tour. To find maps, more things to do, ratings, and more tourist information, read Taupo road trip planning tool . Traveling by flight from Paihia to Taupo takes 3.5 hours. Alternatively, you can do a combination of flight and bus; or drive. Finish up your sightseeing early on the 11th (Wed) so you can travel to Te Anau. 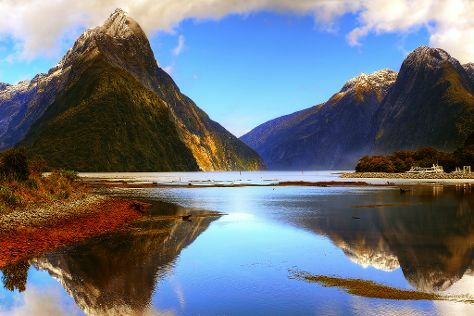 Start off your visit on the 12th (Thu): tour the pleasant surroundings at Lake Gunn, then hike along The Chasm Walk, and then contemplate the waterfront views at Milford Sound. On the 13th (Fri), you'll have a packed day of sightseeing: trek along Routeburn Track. To see maps, reviews, photos, and tourist information, read our Te Anau travel route planner. Traveling by combination of flight and bus from Taupo to Te Anau takes 8 hours. Alternatively, you can do a combination of bus and flight; or do a combination of car and ferry. Wrap up your sightseeing on the 13th (Fri) early enough to take a bus to Queenstown. Start off your visit on the 14th (Sat): view the masterpieces at Queenstown Arts Centre, then get the adrenaline pumping with an extreme tour, then identify plant and animal life at Kiwi Birdlife Park, and finally have some family-friendly fun at Skyline Queenstown. 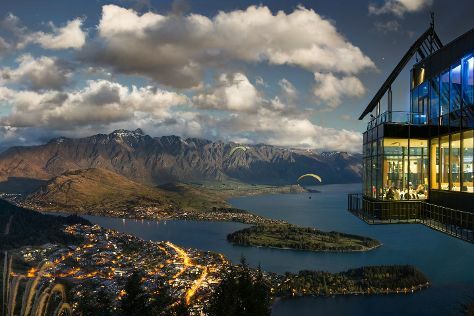 For more things to do, photos, reviews, and more tourist information, read Queenstown trip website . You can take a bus from Te Anau to Queenstown in 3.5 hours. Finish up your sightseeing early on the 14th (Sat) so you can travel back home.